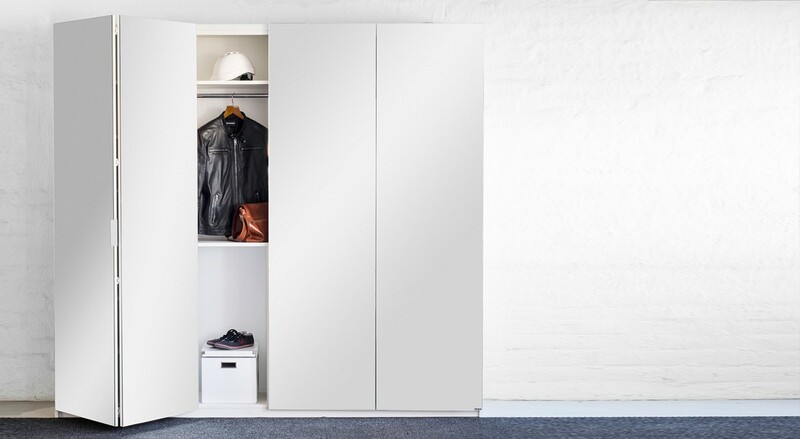 A stylish wardrobe keeps your clothes tidy and, at the same time, it functions as a decoration element, contributing to the high-quality appearance for your bedroom. A high-quality TV stand does justice to your top-notch home entertainment centre. Our stands are custom-made in Sastamala, Finland. We provide you with stylish fixtures for your bathroom: Nordic design made of moisture-resistant material options that you can freely influence. Let its uniqueness show in the storage solutions of your home. We provide you with custom-made, Finnish sliding door cabinets. They are designed, based on your wishes and the measurements of your home. Whether you need a cabinet for your outdoor clothing in the hall, fixtures in your bathroom or a wardrobe in your bedroom – we will design it to suit your home. We do not use stock sizes to prevent you from having to make frustrating compromises in the interior decoration of your home. Your home is unique, not off the shelf – just like you. Decorate it accordingly.